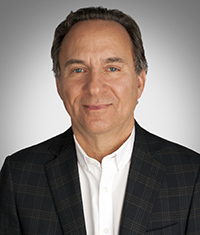 Vince Pugliese serves as chairman and CEO of Pugliese Properties. 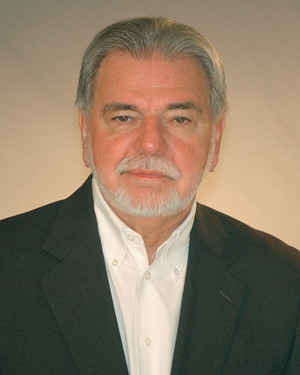 Prior to founding Pugliese Properties in 2007, Mr. Pugliese served as President and CEO of Accutest Laboratories for 30 years. Accutest is one of the largest environmental testing firms in the United States. He directed his family business to unprecedented growth, positioning Accutest as the leader in the industry. Accutest was named to the “Inc. 500” list of the fastest growing privately held companies in the U.S., four consecutive years. Accutest was sold to Bolder Capital, a co-investor with the Edgewater Funds, a Chicago based private equity firm, in May of 2007. Mr. Pugliese continued as CEO, retiring from his position, in December of 2011. Upon his retirement, Accutest was the third largest testing laboratory in the Nation, employing 650 professionals, with 8 full service laboratories and 14 service centers, strategically located throughout the U.S. Accutest has since been purchased by SGS North America, a leading Multi-National inspection, verification, testing and certification company based in Geneva, Switzerland. He maintains a philosophy of building a strong, customer driven entrepreneurial team, coupled with long term profitable growth with an emphasis on environmental sustainability. Mr. Pugliese oversees the investment portflio for the Pugliese Family Office in Princeton, NJ. He holds a B.S. in Environmental Science from Rutgers University. Vincent Pugliese serves as Vice President of Pugliese Properties. 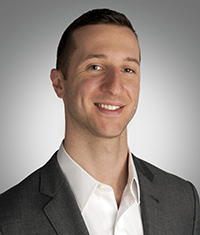 He interned with the acquisitions department of the Hampshire Real Estate Companies in Morristown, NJ before joining Pugliese Properties in 2007. He is responsible for the leasing, marketing, financing and day-to-day management of our portfolio properties. Vincent is a licensed Real Estate Broker in the state of Pennsylvania, a Certified Buyer’s Representative and a licensed Real Estate Agent in the state of New Jersey. He holds a Bachelor’s Degree in Communications and Business Management from the University of Rhode Island. 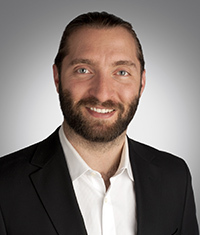 Brett Pugliese serves as Vice President of Pugliese Properties. He joined Pugliese Properties in 2010. His responsibilities include leasing, property management, construction oversight for tenant fit-out projects, budgeting and vendor procurement for our portfolio properties. Brett is a licensed Real Estate Agent in the state of New Jersey. He holds a Bachelor’s Degree in Business Management from Champlain College. Ed Walters is the Director of Real Estate for Pugliese Properties. A licensed real estate broker since 1989, Ed is a graduate of the Pennsylvania Realtors Institute and the Penn State Real Estate Certificate Program. Prior to joining Pugliese Properties in 2010, Ed was employed by multiple commercial real estate brokerage and development companies serving Northeast Pennsylvania. He has gained extensive knowledge in all phases of commercial real estate, including site acquisition, leasing, property management and sales. He is a skilled, dedicated and detail oriented professional who brings vast experience in all phases of commercial real estate construction. Professional membership includes the International Council of Shopping Centers. Ed is also a licensed Pennsylvania Real Estate Auctioneer, and performed commercial appraisals as a Broker/Appraiser. 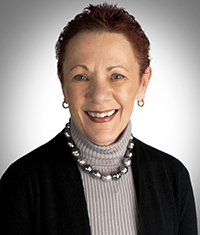 Claudia Gibson is the Office Manager for Pugliese Properties. Ms. Gibson has extensive experience in the acquisition and ownership of commercial real estate. Before joining Pugliese Properties in January of 2013, she was a partner and Vice President of Capital Markets for ARC Properties, Inc. of Clifton, New Jersey where she was responsible for coordinating financing, acquisitions and property sales. Ms. Gibson was also responsible for market research and valuation data, including due diligence analysis on developments and acquisitions.